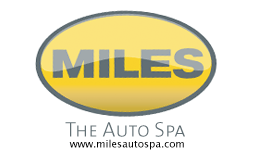 Prepay for multiple services and save! 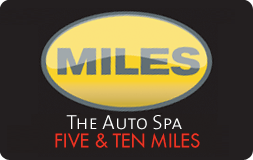 Introducing FIVE and TEN MILES plans – prepaid packages of 5 and 10 washes sold on one card. Pay for your washes up front online and receive savings over our retail individually priced items of 12% to 25%. 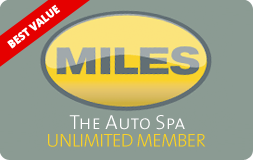 Simply scan this card at our auto attendant outside, or inside at our coffee bar to redeem your wash packages. Great for gifts, rewards and incentive plans. Use the table below to find out which card fits your needs.